Click on the programme twice to enlarge. 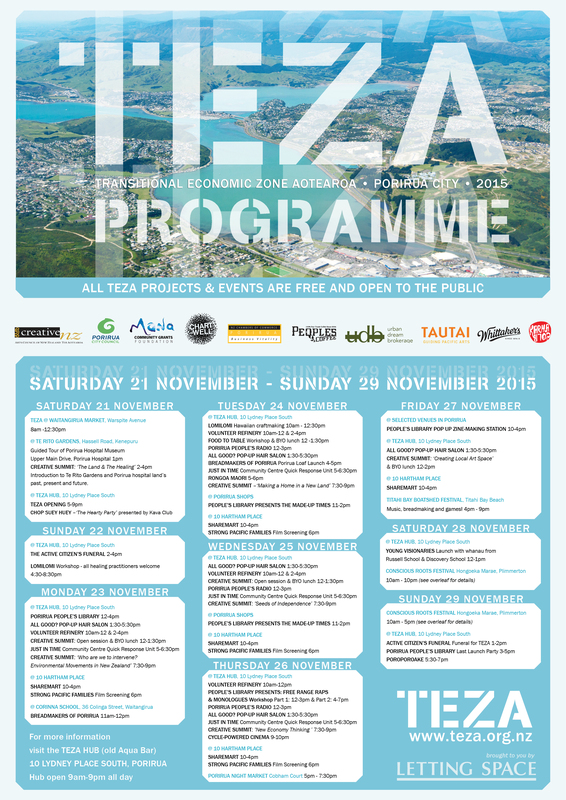 You’re invited to Porirua to the Transitional Economic Zone of Aotearoa, which between Saturday 21 and Sunday 29 November welcomes visitors from around New Zealand, the region and the city to nine days of making public space for creation, discussion and celebration exploring different forms of working together, exchange and wellbeing. A myriad of different projects in which artists collaborate with each other and community groups invite your participation. The daily programme of diverse activity to which you’re invited brings different communities together in a common space, to create a very different kind of festival, or economic zone. We invite you to come and meet us at the TEZA Hub, open 9am to 9pm daily at Lydney Place South Laneway in the Porirua CBD (directions to get there may be found here), where you can get involved as little or as much as you want. From here activity pops up all over the city. Learn more about innovative practices happening at a community and artistic level in Porirua and Aotearoa. For updates on the development of TEZA projects join the Facebook event page TEZA 2015 Porirua and for Porirua train timetable click here. 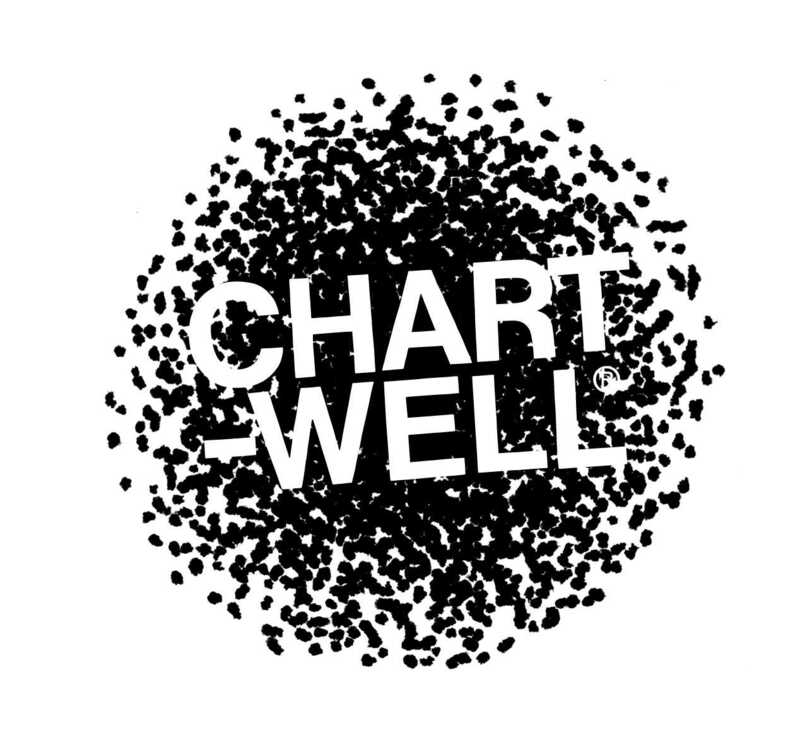 TEZA has been produced by public art organisation Letting Space. It is a bi-annual event highlighting new forms of exchange and economic wellbeing at a time when we need to be exploring alternatives. A Citizens Funeral service, a “People’s Library”, a bread-sharing exchange between cultures, and the Conscious Roots festival are just some of the major projects that is seeing Porirua locals exchange with artists from across New Zealand. All these and a programme of discussions, workshops, presentations form part of an ‘economic zone’ around Porirua City. TEZA is being run in conjunction with Letting Space’s Urban Dream Brokerage programme in Porirua, bringing art and community projects into vacant spaces.